NEXT | Are you picking up BlizzCon tickets tonight? 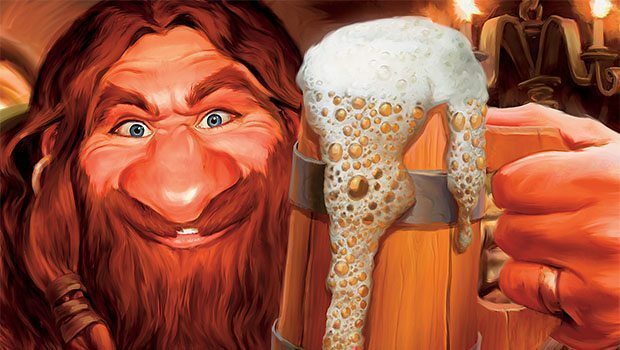 Year of the Raven has begun, but it was Hearthstone’s last season, Year of the Mammoth, that . marked the game’s first year of three full expansions. That made Hearthstone a lot more expensive, and because Hearthstone is more fun with a bigger card collection, I was going to have trouble keeping up if I had to buy cards with cash. Throughout the Year of the Mammoth, I developed a system based upon suggestions from r/Hearthstone and the Hearthpwn forums. I used this system for the last three expansions, and each time, I had 5000g — enough to buy 50 packs — when the new expansion dropped. That meant instead of pre-ordering every expansion, I could buy packs with gold. The first set of a new Year — in this case, the Witchwood — is the most important to preorder if you can afford it, as the card pool is the smallest. The last expansion is the least important, which gives you an opportunity to save. The difference between a preorder and not preordering worked out to about five Legendary cards, but with my 5000g head start, I still got all the Commons, a lion’s share of the Rares, and about half the Epics. If you’d like to do the same, here’s how. Each card pack costs 100g, so the first step is saving the gold to buy them. There are only two ways to make gold: daily quests and wins. For every three wins, you get 10g and after 30 wins in a day, you no longer get gold. I don’t have the playtime to grind out a crazy number of games, so many days, I don’t do more than getting my quests done. The quests you get every day are random, but you can reroll one every day to get rid of any quests you don’t like. I don’t reroll my quest, though I should. If you get a 40g quest, hit the reroll button and see if you can get a better one. The first step in my system is to at least do the daily quest every day. Most quests can be done in Tavern Brawls (which launch every Wednesday) and can be easier if you don’t have a sizable card collection. 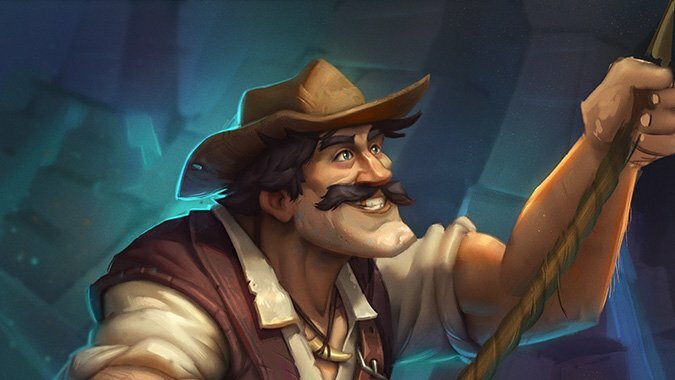 Some quests don’t need any wins, just needing you to play a certain number of class cards, deal some damage, or kill some minions — those are typically the easiest. Once you have the gold, then comes from the fun part: spending it. (And, no, you don’t have to save every gold you earn to get to 5000g by the time the next expansion gets here.) The basic rule for this system is spend 1, save 2. I wish I could remember the poster who I gave me the idea to give proper credit, so if anyone knows, please let me know in the comments. For every 300g you make, spend 100g on a card pack and save 200g. For the first two weeks of an expansion, I spend gold as fast as I can earn it. As soon as I hit 100g, I buy a pack. After the first two weeks, I only spend my gold on Wednesdays. That’s the day for new Tavern Brawls which award a card pack, so I have the Tavern Brawl pack plus whatever I’ve bought — perfect, since like having multiple packs to open. Once I get my cards packs, I note in my spreadsheet how much gold I have. Don’t let the word spreadsheet throw you off. All you need is a place to keep track of how much gold you started the week with. A simple Google doc or even a sticky note on your computer would work. Most weeks the amount of gold I made isn’t a multiple of 300. The first week of The Witchwood, I made 500g. I bought a card pack and marked down 200g on my spreadsheet, but I had 425g in game. I made another 500g the following week, and I had 925g. I increased by 700g. I purchased two card packs (200g), and saved 400g, taking my saved total to 600g, while my actual in-game gold showed 725g. If your eyes are swimming from all those numbers, don’t worry. I’ve created a Google Sheet for you. Write down the amount of gold you have. The following Wednesday, come back to the Google Sheet and put that amount in as the “Amount of Gold I started the week with.” Then put your current gold in the “Amount of Gold I have now.” Buy however many packs the spreadsheet says, and record the “The amount of gold to start next week” in your own spreadsheet, or sticky note. 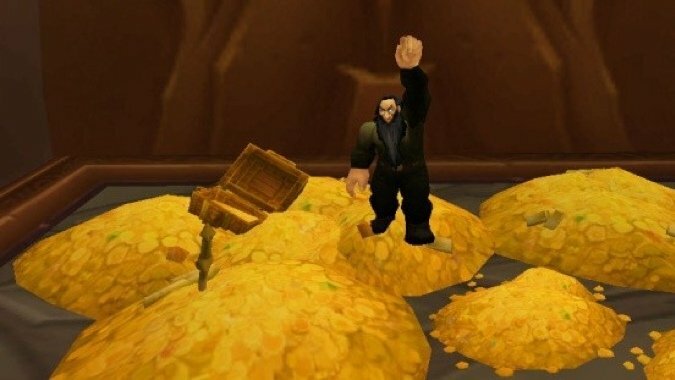 The following week come back and enter that amount into the “Amount of Gold I started the week with”. Now it’s rinse and repeat. Each Wednesday, I figure out how much my gold has increased over my save point, buy some card packs and save the rest. This system allows me to keep buying card packs while saving up for the next expansion. 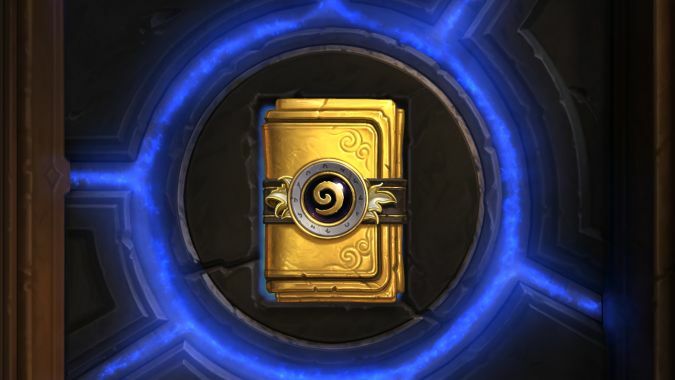 Once the next expansion is announced, I stop spending gold on the current expansion and save everything for the final few weeks.